This is Todd Courser and we have talked about the income tax return. I am an attorney in Lapeer, Michigan. I do tax resolution work resolving problems with the Internal Revenue Service and making a series of videos just to educate people on what I found from past experience. You really should get good legal counsel. These videos really are just to inform people you should attorney who actually works will work with Internal Revenue Service. To resolve your tax problems, there are very few that do it and of the crowd there are even less good at it . Once we have a dispute, most returns are fixed through the amended process. If you have issues beyond this, meaning the dispute is greater and you are not able to serve corrected, and it is not going anywhere, we are going to talk about what that looks like. Now this is in the simplified area of the CP2000. If you are not able to do the amount of return and its rejected or something like that, now you are dealing with calling Internal Revenue Services over the phone. Or you are going to do an in-person. At your in person meeting, you are going to try and resolve the issues related to the dispute. Now this deals with just the simple administrative steps to try and resolve your problems. In the next the next video we are going to talk about audit and appeals. Then we are going to deal with collections, which everybody dreads. I guess everything about the Internal Revenue Services everybody dreads, but we will try and do a good job and correcting some of the issues for people. They can really advocate for themselves better and also when they are speak to attorney in regards to their problems they have a better understanding of the process involved. Tax Records- How Long Do I Keep Them? If you owe additional tax and situations (2), (3), and (4), below, do not apply to you; keep records for 3 years. If you do not report income that you should report, and it is more than 25% of the gross income shown on your return; keep records for 6 years. If you file a fraudulent return; keep records indefinitely. If you do not file a return; keep records indefinitely. If you file a claim for credit or refund after you file your return; keep records for 3 years from the date you filed your original return or 2 years from the date you paid the tax, whichever is later. If you file a claim for a loss from worthless securities or bad debt deduction; keep records for 7 years. Are you uncertain about a tax situation? We can help! Medical and Dental Expenses – In addition to the medical expense records, you should keep records of transportation expenses that are primarily for and essential to medical care. You should record in a diary gas and oil expenses directly related to your medical transportation. If you don’t want to keep records of these actual expenses, you can keep a log of the miles you drive for medical purposes and use the standard mileage rate. You should also keep records of any parking fees, tolls, taxi fares, and bus fares. Mortgage Interest – If you paid mortgage interest, you should receive Form 1098, a Mortgage Interest Statement. Keep this with your mortgage statement and loan information. Moving Expenses – You may be able to deduct qualified moving expenses that are not reimbursed. See IRS Publication 521 to see what expenses qualify and what records you need. Taxes – Keep Form W-2 and Form 1099-R. If you made estimated tax payments, you need to keep a copy of your checks. If you received a refund of state income taxes, you need to keep Form 1099-G. Keep mortgage statements, tax assessments or other documents as records of the real estate and personal property taxes you paid. If you deducted actual state and local general sales taxes instead of using the state sales tax tables, you must keep you actual receipts showing general sales taxes paid. Tips – You must keep a daily record to accurately report your tips on your return. You can use IRS Publication 1244 to record your tips. Afraid you may miss something? We can help. Education Expenses- You should keep transcripts that show periods of enrollment and cancelled checks and receipts that verify amounts you spent on tuition, books, and other educational expenses. Energy Incentives- If you want to claim one of the tax incentives for the purchase of energy efficient products, you must keep records to prove: when and how you acquired the property, the price of the property and that the property qualified for the credit. Gambling Winnings and Losses- You must keep an accurate diary of your winnings and losses that includes the: date and type of gambling activity, name and address of the gambling establishment, and the amount you won or lost. See IRS Publication 529 about gambling losses. Health Savings Account and Medical Savings Account – For each qualified medical expense you pay with a distribution from your HSA or MSA, you must keep a record of the name and address of each person you paid and the amount and date of the payment. Alimony- If you receive or pay alimony, you must keep a copy of your written agreement (separation, divorce, support). Business Use of Your Home – You may be able to deduct certain expenses connected with the business use of your home. You need to keep records that show the part of your home that you use for business and the expenses related to that use. This is not as easy as saying that you work at home. See IRS Publication 587 on how to allocate expenses between business and personal use. Casualty and Theft Losses- You must be able to prove that you had a casualty or theft. Your records must be able to support the amount you claim. For casualty loss, you need to prove: the type of casualty and when it occurred, the loss was due to the casualty and that you were the owner of the property. For theft loss, you need to prove: when you discovered the property was missing, that it was stolen and that you were the owner of the property. Child Care Credit- You must give the name, address, and taxpayer identification number for all persons or organizations that provide care for your child or dependent. Contributions- You must keep records to prove the contributions you make during the year, cash, non-cash, or out-of-pocket expenses. Call today. Todd Courser 810-245-0813. Tax Returns- What Kind of Records Should I Keep? It is important to keep all the documents used to determine your tax returns. A record should be kept of your income and a record should be kept of your expenses which are being included in some way on your tax return. Your records should be kept by year in a safe place. When your tax return is completed, a copy of the return should be placed in a file with the information used to prepare the return and kept in a safe place. If you choose to use electronic files, care should be taken to back up and protect these records. If these are destroyed, you are still accountable for providing the IRS with the information. We are here to help you use all your documents to your benefit. There are many reasons that you need to file your tax return. Many people don’t realize, if you don’t file, you can go to jail. The IRS looks at this as a criminal offense. They go after anyone who is avoiding doing or paying taxes. The IRS has continued to get more aggressive in pursuing tax evaders. Some people don’t file their tax return because they don’t have the funds for the taxes they owe. It is better to file your tax return, pay what you can and make a deal with the IRS for the remaining amount. This will keep you in compliance with the IRS and avoid levies being placed on your property. If you don’t file, you will incur a penalty for not filing and still be incurring penalties on the amount that they think you owe. In order to make a deal with the IRS, all past tax returns need to be filed. Have you put off doing your tax returns in the hope no one would notice? Are you embarrassed that you got to this point? You aren’t alone. We see this everyday. We can help you get in compliance with the IRS. Come see us today! Give the appearance of cooperation. Do NOT allow anyone from the IRS to complete forms for you either over the telephone or in person. DO get advice on how to deal best with the IRS. You do have options when dealing with the IRS. The sooner you act, the more options you will have. If you put off coming in for advice, you may be limiting your options to the lesser of two evils. It is best to react quickly and develop an offensive plan rather than react under pressure and on the defensive. 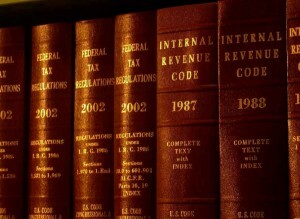 It is usually difficult for a taxpayer to deal with the IRS. This is not your job, but it is the job of the people working for the IRS. They do it everyday. They are strong and do not bend easily. They have been known to intimidate and threaten. Under their power, you may loose your ability to negotiate effectively. This is where we can help. We have a working knowledge of the IRS. We know what they can and can’t do. We know what you can and can’t do. If you are having problems with the IRS, give us a call. We speak the language of the IRS and can help your frustration go away.